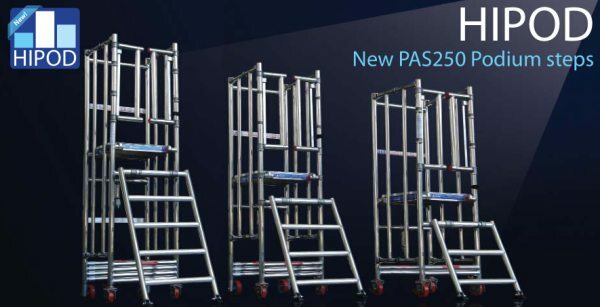 The HIPOD range of podiums has been developed to meet the new PAS250 standard introduced earlier in 2013. The range of HIPODs is a further extension of the HiLyte tower products and is a range of innovative low level platforms, unlike any already on the market. To read more information and view the specification sheet please visit the web page below.